If you are looking for a professional and inspired training course in Iridology (Analysis of the Iris), then look no farther, you have found the right place. Combining over 60 years of direct experience in the field guarantees you that teachings and teachers are at the highest level of competence. 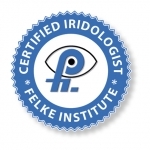 Beginning with Josef Deck’s Institute for Foundation Research through to today’s Felke Institute you can be sure that providing a professionally relevant, user friendly training is our goal. Iridology is not a static area of knowledge. Through continuing research and development of our curricula and publications, you will find yourself always at the forefront of this dynamic subject. 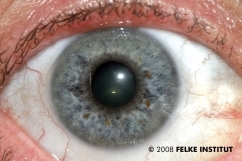 Many components of Iridology offer exciting possibilities for further analysis. Based on international exchange, individual studies and research projects, training at The Felke Institute utilizes only components that have been tried and tested. 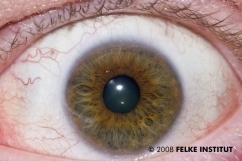 Modern Iridology entails more than just recognizing the Constitutional Type. Here at The Felke Institute you will begin to understand just how multi-layered and far-reaching a field it is. Your knowledge of the possibilities and restrictions of the field guarantee success. There are many opinions and choices out in the free market. In today’s world documentation of competency and use of standardized terminology are becoming more and more important. We offer a standardized training in Iridology with clear structure and the possibility to achieve certification. Individual and personal care are vital aspects of training at The Felke Institute. Our excitement about Iridology should not only be contagious, but the atmosphere should provide for a sense of well-being that allows you to learn as much as possible and will lead to a successful professional application. You will not find yourself in a crash course victim of a presenter who doesn’t permit interaction but rather will be encouraged to really engage in the learning process through discussion and questions. Therapy suggestions play an important role and first-class scripts are self-evident. Others are looking for their own profit - We are looking for our students profit. Education on a high clinical level guarantees the success of our students. Our German students have more then 10 patients a day and must have a good knowledge of many aspects of iridology, anatomy and the complex function of the organ or hormone system. Signs, Constitutions, Pigments are only a small part of the basics. The real iridolgist is able to handle the summation analysis as easy as the iridological diagnostic assessment and is able to develop either a promising therapy or a deeper, more targeted diagnostic strategy.